I wanted a fairly large spice rack in my kitchen but I don’t have a lot of blank wall space (due to all the windows) to hang something massive. There is a large blank space on my pantry wall, but a spice rack there would protrude into the alley and cause problems. Think, think …. 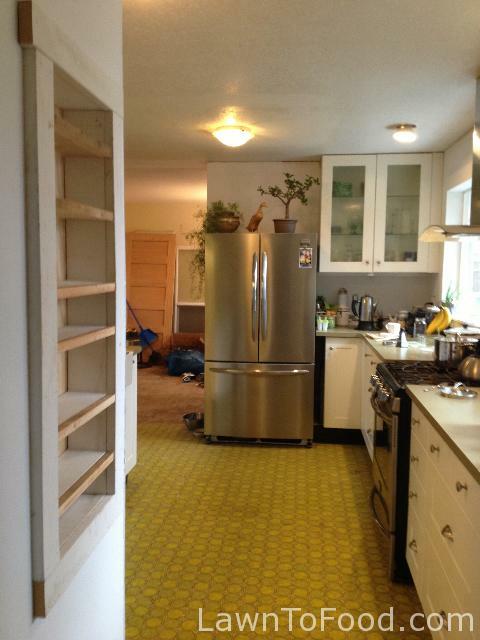 what if I could inset the spice rack into the pantry wall? It’s a perfect use of empty space and in a very convenient location. Win -win. My collection of spices that need to be organized. 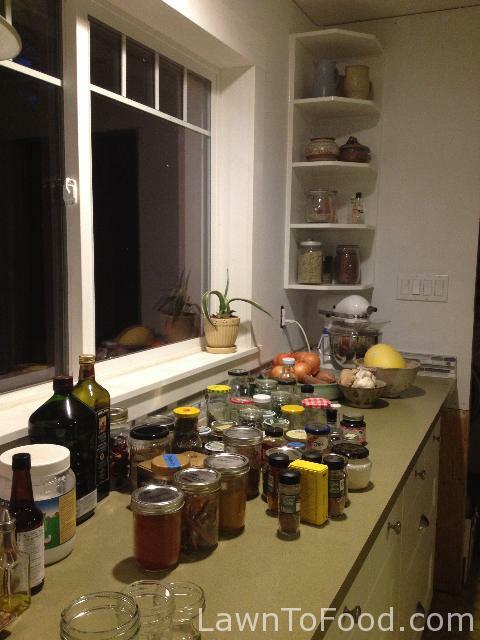 I usually buy spices in bulk and then use an assortment of canning & recycled jars to store them. 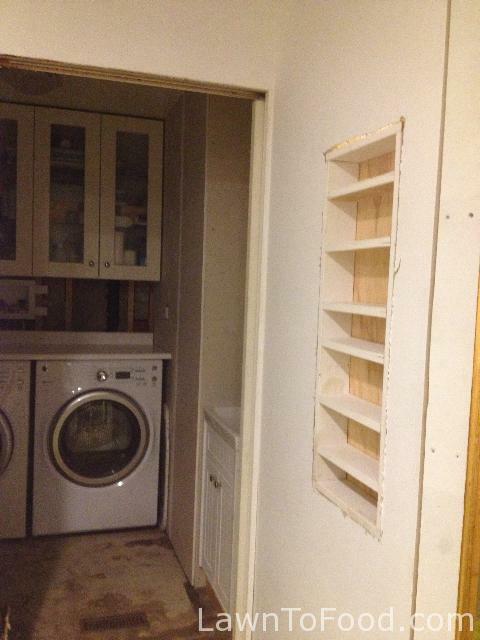 Just to the right, of the previous picture, is the wall of my pantry. 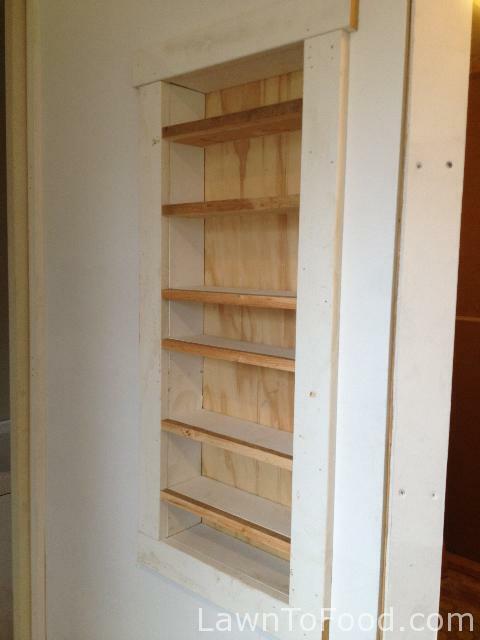 It is here that I cut an opening between the studs, and inserted a spice rack. The rack is made from leftover mdf moulding, and a piece of bead board for backing. I used glue and a brad nailer to assemble it. I measured the height of the shelves to match the spice jars. Here is the “rough draft”. Everything fits fairly well so it’s on to the finishing. I framed the rack in more leftover scrap mdf moulding. I also added some cedar strips to the front of the shelves, to even everything up. I’ve filled, sanded and painted the trim white. 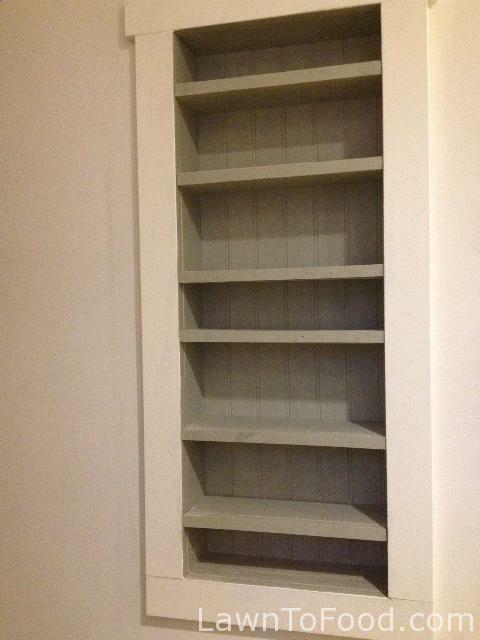 I chose to paint the shelf interior with a gray-green to add a farmhouse feel. 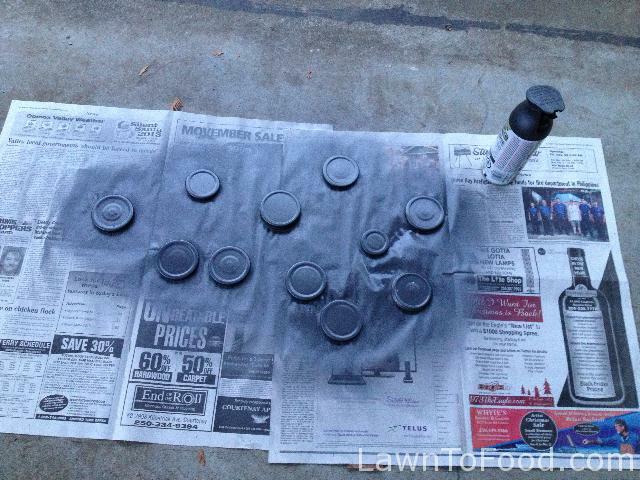 I also spray painted some of the spice jar lids a charcoal gray, to add continuity. The finished project, unobtrusive and ready for use. 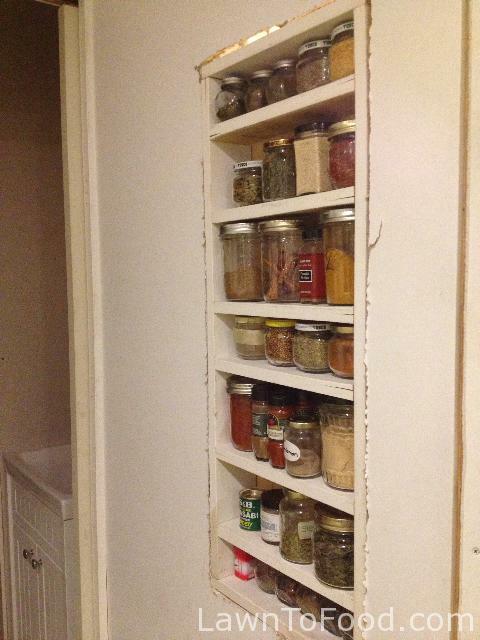 This entry was posted in Cool Carpentry Ideas, Projects, Recycle Reuse Rebuild and tagged pantry, shelves, spice rack by Lynda. Bookmark the permalink.